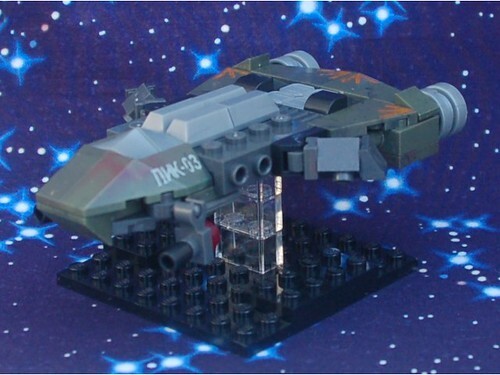 A new Intercept Orbit Frigate design built from Mega Bloks pieces from the Call of Duty set CNG75. The flight stand is Lego. 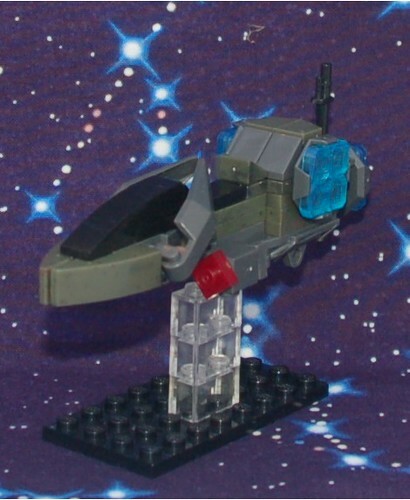 A new Intercept Orbit Frigate design built from Mega Bloks pieces from the Call of Duty set CNG76. The flight stand is Lego. The shaping on both is really nice and I look forward to seeing the fleet all together. I think I'd like them better in LEGO though; I always have a hard time getting past that ugly texture Mega Bloks have. Blorf wrote: The shaping on both is really nice and I look forward to seeing the fleet all together. Thanks. I need to pick up another CNG76 set for another Scalpel, and I still have to figure out how I'm going to build the Cruiser and Frame Company. Blorf wrote: I think I'd like them better in LEGO though; I always have a hard time getting past that ugly texture Mega Bloks have. I think it'll set them apart from regular Lego fleets once they're all on the table together. This is a deep-space sensor platform code-named "Sonobouy", since that is its purpose. 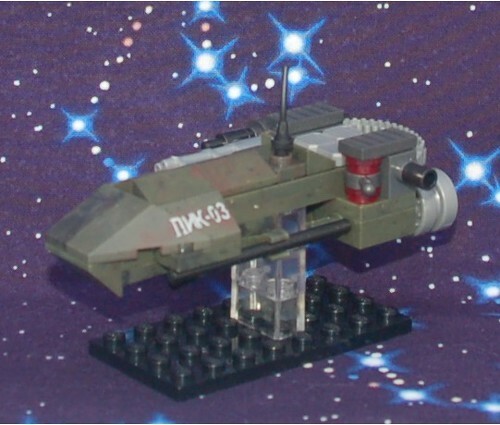 It's a new Intercept Orbit HVA design built from Mega Bloks pieces from the Call of Duty set CNG75. 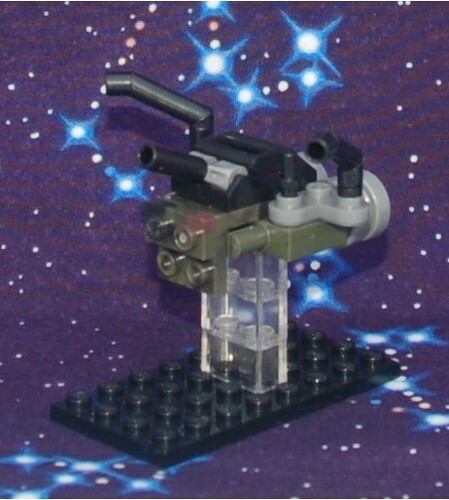 The flight stand is Lego. The backbone of the 13th Fleet. Stats: 2K(double catapults) 2Rpd (oblique turrets) 2W. Designer's Notes: This is assembled from parts from both the CNG75 and CNG76 Call of Duty Mega Bloks sets. The base is Lego. These are all very reminiscent of Battlestar Galactica, which (despite the later seasons) is still high praise in my book.